1. Why do the sun and the moon appear to be the same size in the sky? Because the Sun is 400 x further away from us than the Moon but also 400 x larger in diameter. The angular size of the Sun and the Moon are exactly the same from the Earth. 2. 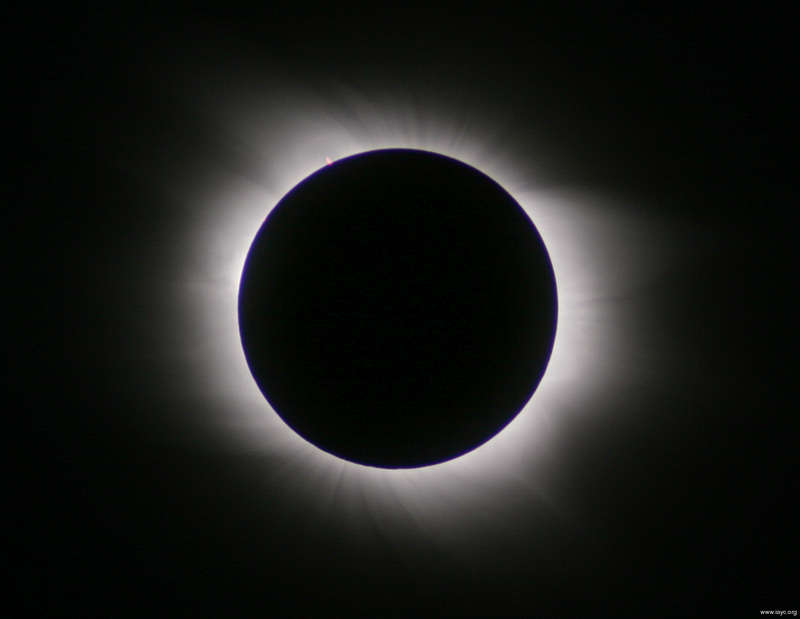 Why do we not have a total solar eclipse every month? The Ecliptic and the plain of Moon’s orbit around Earth are different. 3. Describe a total solar eclipse. The Moon passes directly in front of the Sun. Light from the Sun’s photosphere obscured if observer is in the umbra. 4. What are Bailey’s Beads? 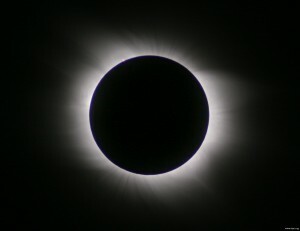 At the beginning and end of totality. 5. Describe a partial solar eclipse. 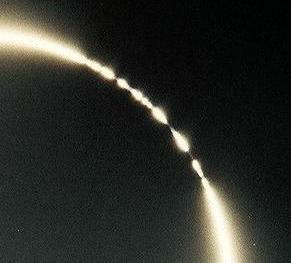 Moon only partly obscures light from the Sun. i.e. Earth’s surface lies in penumbra. 6. What is a lunar eclipse? When Earth passes between Sun and Moon. 7. 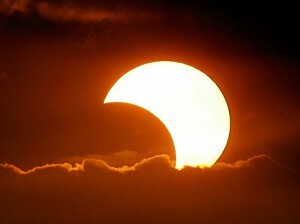 What type of eclipse is most common and why? 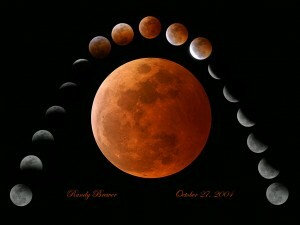 A lunar eclipse because it is visible from most of the Earth’s Night Side. 8. Why does the Moon appear red during a Lunar eclipse? Light from the Sun is refracted by the Earth’s atmosphere. 9. In which direction does the Earth spin? Anticlockwise when observed looking down on the North Pole. 10. What is a Sidereal Day? The actual time it takes for Earth to spin 360 degrees on its axis. It is 23h 56 min and 4.1 seconds. 11. What is a Solar Day? An extra 4 minutes in needed because the Earth has move slightly in Its orbit around the Sun. It most rotate for an extra 4 minutes to allow the Sun to return to the same position in the sky. Click here for an interactive demonstration of the difference between solar and sidereal days. 12. What is the difference between AST and GMT? AST is the measure of Solar Day. GMT is the average Solar Day. The earth orbits the sun in an elliptical (not circular) orbit. The earth’s polar axis is tilted to the plain of the ecliptic. Sun higher in the sky in Summer than in Winter. 14. What causes the Aurorae? Electrons in the Solar Wind are accelerated by the Earth’s magnetic field at the poles. Atoms of Nitrogen and Oxygen in the upper atmosphere become excited. As they de-excite they emit particular wavelengths of light.